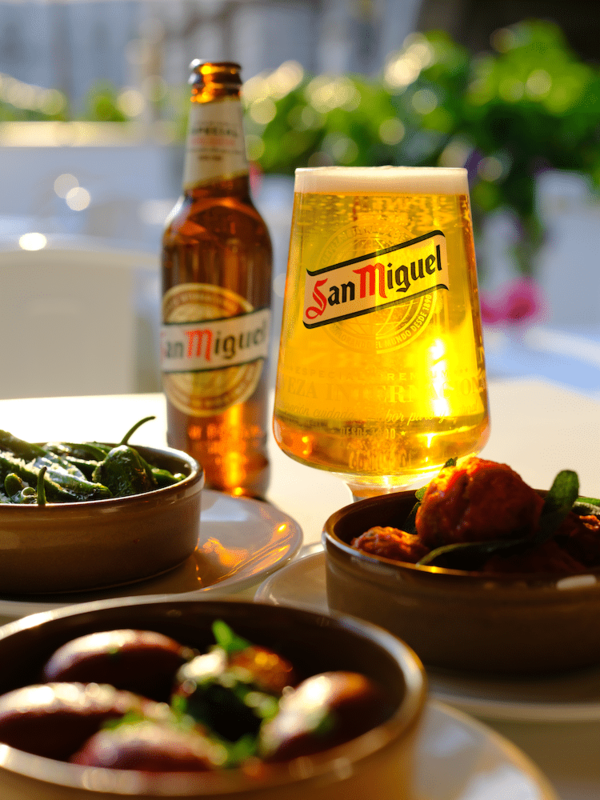 Enjoy a San Miguel as the sun goes down. Spring has sprung, and as the evenings get longer and the sun begins to shine, we’re swapping cosy nights in for warm evenings out. 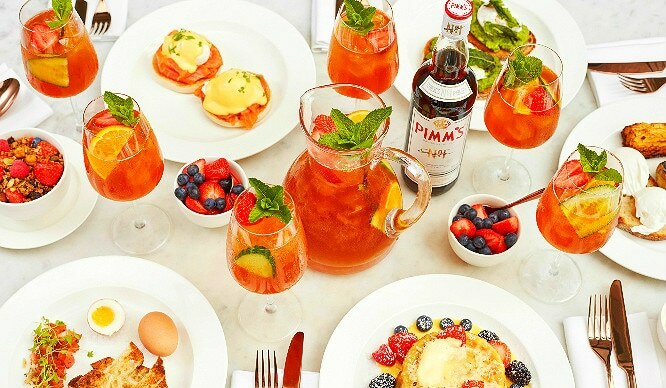 With London pubs packed to the rafters and parks full to the brim, it’s the perfect time to head to the Terrace at Somerset House. 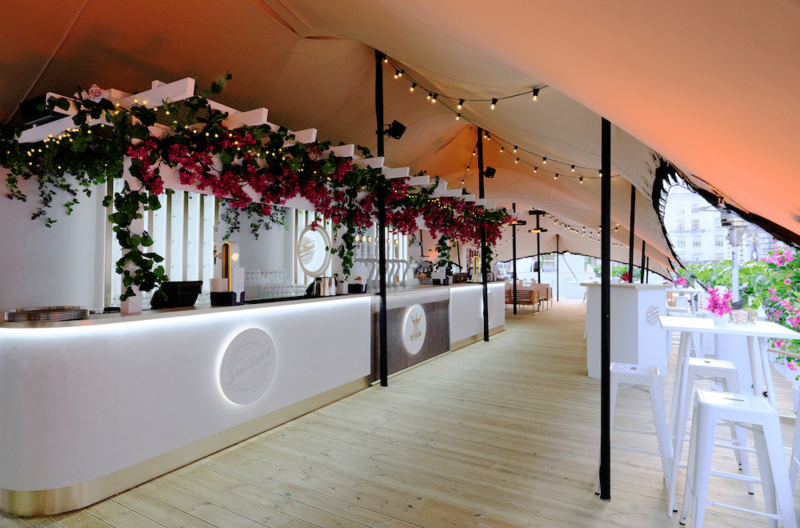 San Miguel has partnered with Somerset House to bring some of the finest ice-cold brews to one of London’s most scenic terrace bars. 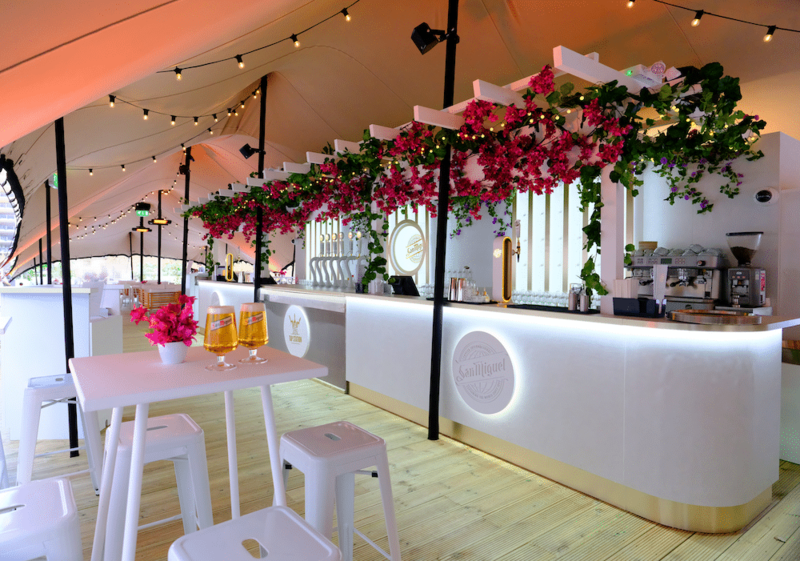 With vibrant flowers and whitewashed walls, a resident DJ mixing quintessential Ibizan beats, and an array of authentic tapas to enjoy, it’s the best place to experience a taste of Spain in the heart of London this summer. San Miguel will be serving their core beer range (San Miguel Especial, San Miguel 0,0%, San Miguel Gluten Free and San Miguel Selecta), alongside five speciality beers at the Tap Station bar. 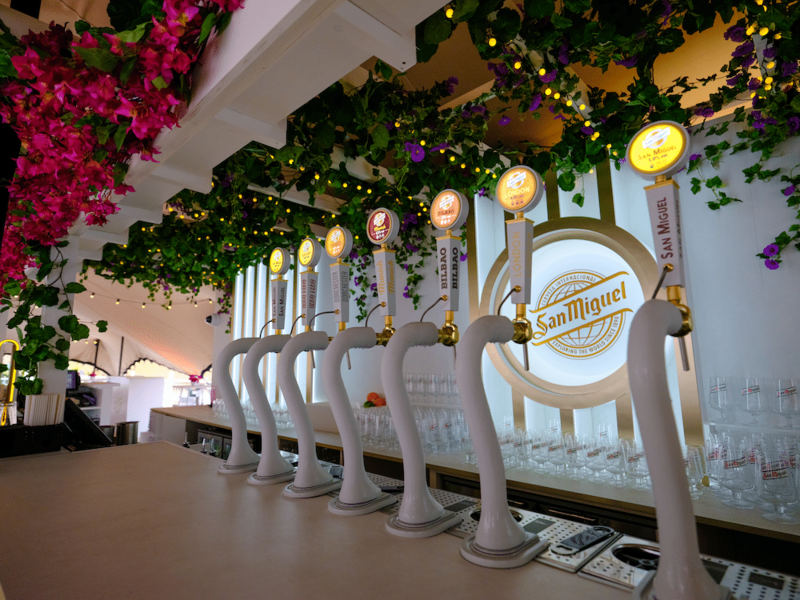 Inspired by San Miguel’s journey around the world, and available only at Somerset House, you can sample beers with different blends from across the globe – without ever leaving Zone 1. Transport your taste buds from the hops of Hong Kong, to the coffee and caramel notes of Munich. Try the Grilled Garlic Prawns, Avocado, Spinach & Chilli salad with San Miguel Hong Kong, or the Plato de Carne with San Miguel Bilbao. Or you might fancy the Chorizo, Manchego & Rocket stone baked flatbread, paired with San Miguel Selecta. Feast upon classics tapas including Albondigas, Choricitos Al Vino, and Spanish Tortilla – or enjoy a range of lighter snacks such as salted almonds, olives, and sharing boards. In addition to these delectable dishes, a top London chef will add an exclusive new dish to the menu each month. 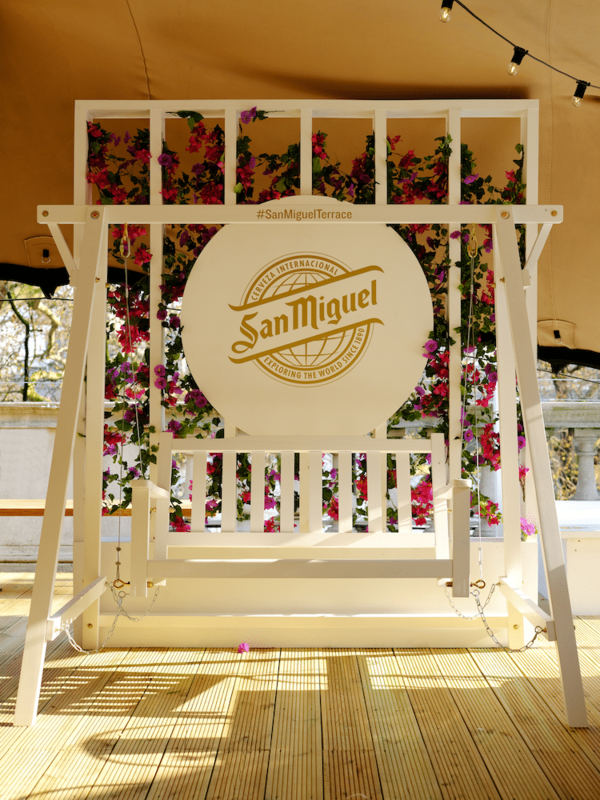 Once you’ve finished pairing tapas with your favourite beers, relax and unwind in the San Miguel swing for the perfect Instagram shot. If you’re not going to get the chance to feel the sea breeze in your hair this summer, this might just be the next best thing! 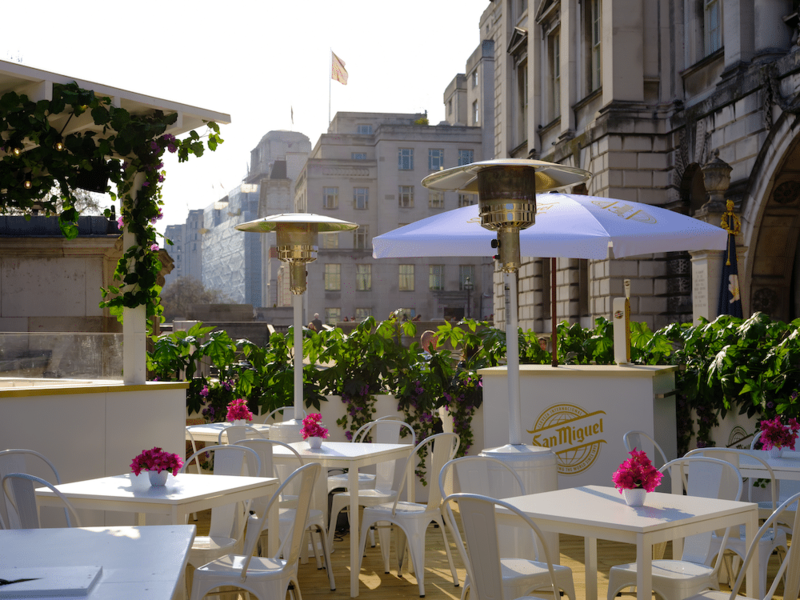 The terrace will be open throughout the summer, serving San Miguel at various Somerset House events. Keep checking back at Secret London to hear more about Photo London, Somerset House Summer Series with AMEX®, and Film4 Summer Screen! 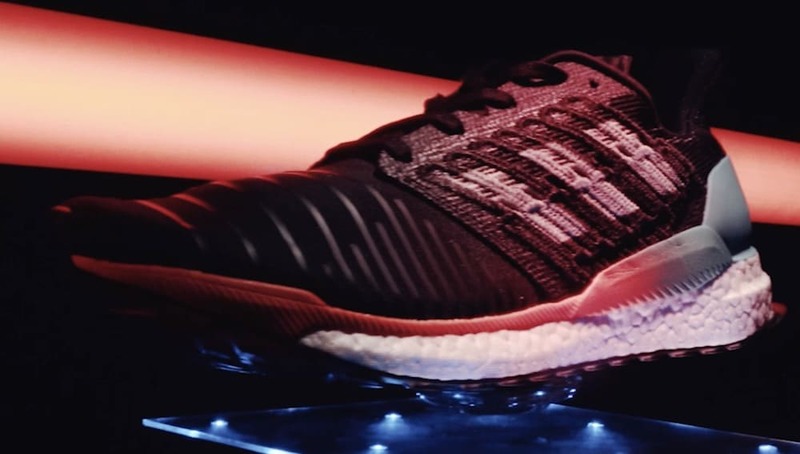 This article is an advertising feature by San Miguel. 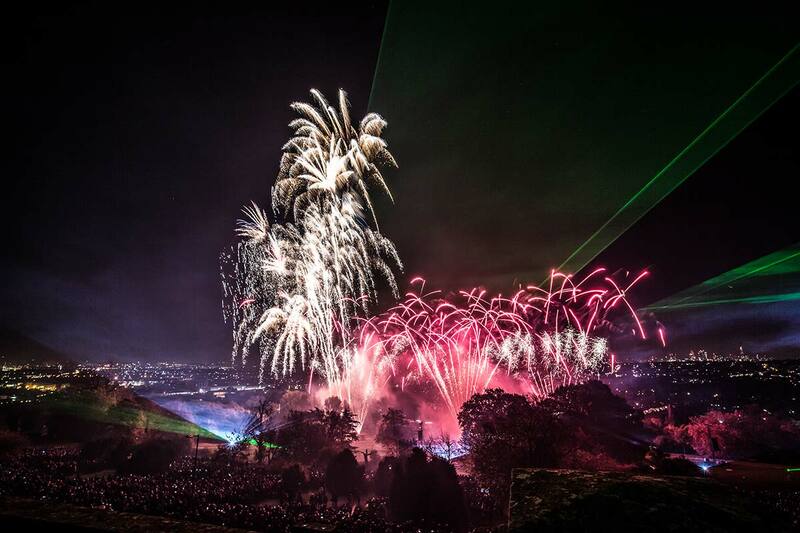 The Terrace Bar will be open Mon-Sat 12.00-late, Sun 12.00-18.00 (weather permitting). 18+ only. Please drink responsibly. For all the facts, visit drinkaware.co.uk. Follow San Miguel on Instagram and Facebook. Share your experience online with the hashtag #SanMiguelTerrace. For more information, head to San Miguel’s website.